ConferenceSeries Ltd would like to take this amazing opportunity to welcome everyone interested in Bioinformatics to “7th International Conference on Bioinformatics” that is scheduled at Rome, Italy during October 24-25, 2016. The theme of the conference is ‘Integrating Bioinformatics and Interdisciplinary Sciences’. Bioinformatics Congress 2016 includes topics such as Evolutionary Bioinformatics, Proteomics, Structural Bioinformatics, Genomics, Systems Biology, Biostatistics, Algorithms & Databases, Clinical Informatics, Immunology & Drug Discovery and Clinical Case Reports. The conference Bioinformatics Congress 2016 is a specially designed bundle conference that involves an ample range of critically significant sessions. It would lay a podium for the interaction between experts all over the world and intends in advancing the scientific discoveries. 7th International Conference on Proteomics, October 24-26, 2016 at Rome, Italy; International Conference on Next Generation Sequencing during July 21-22, 2016 at Berlin, Germany; 6th International Conference on Computational Systems Biology during August 22-23, 2016 at Philadelphia, USA; Genetic and Evolutionary Computation Conference, June 20, 2016 at Denver, USA; 8th International Meeting on Bioinformatics April 4-6, 2016 at Las Vegas, USA; Evostar 2016 March 30-April 1, 2016 at Porto, Portugal; BIOTECHNO 2016, June 26-30, 2016 at Lisbon, Portugal; 13th Conference on Molecular Epidemiology, May 10-13 2016 at Antwerp, Belgium. International Conference on Structural Biology during June 23-24, 2016 at New Orleans, USA; 2nd International Conference on Transcriptomics during September 12-14, 2016 Philadelphia, USA; 6th International Conference on Computational Systems Biology during August 22-23, 2016 at Philadelphia, USA; 7th Conference on Bioinformatics Models February 21-23, 2016 at Rome, Italy; 14th Asia Pacific Bioinformatics Conference during January 11-13, 2016, San Francisco, USA; 8th Conference on Bioinformatics during April 4-6, 2016 at Las Vegas, USA; Protein Function in Time and Space, July 16-17, 2016 at Lewiston, USA; 23rd Jerusalem School in Life Science during January 10-14, 2016 at Jerusalem. 7th International Conference on Proteomics during October 24-26, 2016 at Rome, Italy; 2nd International Conference on Lipid Science and Technology, October 06-08, 2016 at Miami, USA; World Congress on Amino Acids December 08-09, 2016, Dallas, USA; 10th Annual Congress of the European Proteomic Association, June 21-25, 2016 at Istanbul, Turkey; 18th International Meeting on Proteomics, March 30-31, 2016 at Istanbul, Turkey; 15th Annual World Congress September 18-22, 2016, Taipei World Trade Centre; 3rd Conference on Protein and Proteomics March 2-4, 2016 at Beijing, China; Quantitative Proteomics, April 4-5 2016 at Chester, UK. 4th International Conference on Plant Genomics during July 14-15, 2016 at Brisbane, Australia; 5th International Conference on Cancer Genomics during August 8-9, 2016 at Las Vegas, USA; 6th International Conference on Genomics at Berlin, Germany during September 12-14, 2016; International Meeting on Microbial Physiology during September 29-30, 2016 at London, UK; 6th International Meeting on Clinical Microbiology during October 24-26, 2016 at Rome, Italy; Genomics and Personalized Medicine during February 7-11, 2016 at Alberta, Canada; Genomic Instability Conference during July 23-24, 2016 at Hong Kong, China ; Genomics of Common Diseases during September 25-28, 2016 at Baltimore, USA; HUMAN GENOME MEETING 2016, February 28-3 2016 at Houston, USA; 13th International Congress of Human Genetics in 2016 April 03-07 2016 Kyoto, Japan. 6th International Conference on Computational Systems Biology during August 22-23, 2016 at Philadelphia, USA; International Conference on Next Generation Sequencing amid July 21-22, 2016 at BERLIN, GERMANY; International Conference on Biochemistry amid October 10-12, 2016 at KUALA LUMPUR, MALAYSIA; 2nd International Conference on Protein Engineering amid November 14-16, 2016 Atlanta, USA; 18th International Conference on Systems Biology amid January 12-13, 2016 Zurich, Switzerland; Systems Immunology 2016: From Molecular Networks to Human Biology amid January 10-14 2016 Big Sky, USA; 2nd Conference on Computational Systems Biology March 2-4, 2016 Beijing, China; Southern California Systems Biology Conference 2016 amid January 29, 2016 at Irvine, USA; International Conference on Bioinformatics amid March 4-6 2016 Allahabad, India. 6th International Conference on Computational Systems Biology during August 22-23, 2016 at Philadelphia, USA; 7th International Conference on Proteomics during October 24-26, 2016 Rome, Italy; 5th International Conference on Metabolomics May 16-18, 2016 Osaka, Japan; 7th International Meeting on Bioinformatics Models during February 21-23, 2016 Rome, Italy; 18th International Meeting on Bioinformatics Models Melbourne, Australia during February 4-5, 2016; BioTech 55 - CRISPER, TALENS, and ZFN during February 01-05 2016 at Maryland, USA; Gene Modulation Congress 2016 April 06-08 2016 Oxford, UK; BIOCOMPUTATION 2016 June 26-30, 2016 Lisbon, Portugal. Universal Meeting on Medical Immunology in the midst of September 07-09, 2016 at Amsterdam, Netherlands; 2nd International Conference on Neuroimmunology amid March 31-April 02, 2016 at Atlanta, USA; European Immunology Conference July 21-23, 2016 at Berlin, Germany; International Meeting on Tumor Immunology in the midst of July 28-30, 2016 at Melbourne, Australia; International Conference on Mucosal Immunology amid July 28-29, 2016 Melbourne, Australia; IMMUNOLOGY 2016 amid May 13-17, 2016 Washington DC, USA; Immunology of Tenacious Infection January 31-February 4, 2016 at Banff, Canada; 16th International Congress of Immunology amid August 21-26, 2016 Melbourne, Australia; 10th International Congress on Autoimmunity April 6-10, 2016 at Leipzig, Germany; 3rd International Immunogenetics Conference in the midst of April 27-30, 2016 Belek/Antalya, Turkey. Universal Conference on Clinical Chemistry September 19-20, 2016 Chicago, USA; 5th Alternative Medicine Conference September 05-07, 2016 Beijing, China; Commercialization of Antibacterials during November 17-18, 2015 at Boston, USA; World Preclinical Congress during June 14-17, 2016 at Boston, USA; Novel Preclinical Models in Oncology during June 15-16, 2016 Boston, USA; iHealth 2016 Conference, May 05-06, 2016 at Minneapolis, USA; 4th Annual Medical Informatics Conference 2016 April 4-5, 2016 at Boston, USA. 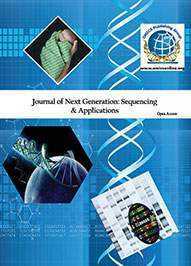 4th International Meeting on Biostatistics during November 16-18, 2015 San Antonio, USA ; International Conference on Biochemistry during October 10-12, 2016 Kuala Lumpur, Malaysia; 2nd International Conference on Protein Engineering November 14-16, 2016 at Atlanta, USA; International Conference on Next Generation Sequencing during July 21-22, 2016 Berlin, Germany; 18th International Conference on Biostatistics, August 4-5, 2016 at Amsterdam, The Netherlands; 22nd International Conference on Computational Statistics during 23-26 August 2016 Oviedo, Spain; 2nd International Conference on Mathematical Sciences during January 26-28 2016 at Kuala Lumpur, Malaysia; 2nd International Symposium on Stochastic Models in Reliability Engineering, February 15-18 2016 Beer Sheva, Israel; 37th Annual Meeting of the Clinical Biostatistics, August 21-25 2016 Birmingham, UK; 7th International Meeting on Bioinformatics Models February 21-23, 2016 Rome, Italy. Clinical case reports are compelling source of evidence in the field of medicine and is aimed to improve global health and concise about a common or critical clinical scenario and develop a broader search for evidence. Case reports provide a detailed information of the symptoms, diagnosis, signs, treatment, and effect of an individual patient. It contains a demographic report of the patient, but usually portrays an unusual or new instance. A favourable case report gives a clear perception about the gravity of the observation being reported. Case report aids in the identification of advanced trends or diseases and discover new drug, its side effects and potential usage. It even analyzes limited manifestations of a disease. Case reports play a significant role in medical discipline thereby administering a structure for case-based training. 3rd Experts Meeting on Medical Case Reports during May 09- May 11, 2016 at New Orleans, USA; International Conference on Case Reports June 30 to July 02, 2016 Valencia, Spain; The 2nd Conference Clinical Research, March 2- March 4, 2016 at Beijing, China; 45th Critical Care Congress, February 20-24, 2016 at Florida, USA; 2016 Zilkha Symposium on Alzheimer Disease, April 10 2016, Los Angeles, USA; 31st International Conference of Alzheimer's Disease, April 21-24 2016 at Budapest, Hungary; Alzheimer's Association Congress during July 22-28, 2016 at Toronto, Canada. 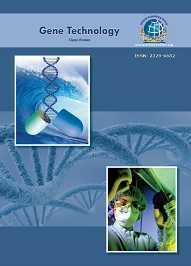 The 7th International Conference on Bioinformatics is scheduled to take place in the beautiful city of Rome at Italy during October 24-25, 2016 which focuses on foremost topics such as Evolutionary Bioinformatics, Proteomics, Systems Biology, Genomics, Immunology & Drug Discovery, Algorithms & Databases, Clinical Informatics, Biostatistics, Structural Bioinformatics and Clinical Case Reports. ConferenceSeries Ltd graciously invites all the participants to this conference. The past International conferences on bioinformatics concentrated on diverse areas related to Bioinformatics and their broad applications which have drawn protruding speakers which include esteemed scientists from top International Universities and professionals from dominant associations. Conferences that formerly organized can be found in conference series webpage. 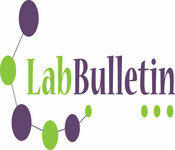 The Global Bioinformatics market is predicted to reach $4.2 billion by the end of 2014 and to reach $6.8 Billion by 2017. Aspects such as increasing government initiatives and funding, and flourishing use of bioinformatics in biomarkers development and drug discovery processes are leading to expansion of the market. However, factors such as inadequacy of skilled personnel to ensure appropriate use of bioinformatics tools. The 7th International Conference on Bioinformatics is scheduled to take place during October 24-25, 2016 at Rome, Italy which aims on foremost topics such as Structural Bioinformatics, Clinical Case Reports, Systems Biology, Proteomics, Genomics, Algorithms & Databases, Biostatistics, Immunology & Drug Discovery, Clinical Informatics and Evolutionary Bioinformatics. The past International conferences on bioinformatics concentrated on diverse areas related to Bioinformatics and their wide applications which have engaged protruding speakers which comprises of elevated scientists from finest International Universities and experts from noted associations. Conferences that previously organized can be seen in conference series webpage. The purpose of the conference is to give a raised floor to scientists, academics and additionally modern expert to share and grasp any ideas for future viewpoints. This conference will highlight these most recent issues and innovative works. It deliberately aims on speakers who hold high profiles i.e. Dignified personalities in the field of Bioinformatics and other medical scientists. Individuals from scientific community are more bent towards Bioinformatics. This gathering advances transposing learning among colleagues and helps the rising patterns with new development in the enormous field of Bioinformatics. 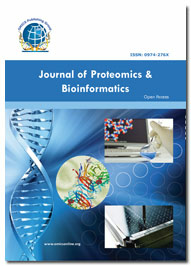 Bioinformatics is the use of computational technology to the management of biological data. 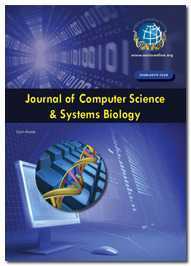 Bioinformatics is the latest trending expression in the field of Science and Technology in which Computer Science, Biology and Information Technology converge into a single order. The career prospects in the field have been expanding with more utilization of information technology in the field of molecular biology. The main objective is to convert huge amount of complex information into effective data and knowledge. Bioinformatics has lately emerged as a discipline straddling the entrenched fields of computer science and biology. It is indispensable to modern biological research, and a specialists hunt. The conference will give a universal forum to talk about the most recent improvements in Bioinformatics and related fields. These events purpose is to make a podium for members to gain hands-on experience, and a chance to make inquiries and discuss issues with experts in their particular fields. Bioinformatics covers integral disciplines that hold incredible promise for the advancement of research work in biological systems, software development, techniques, drug design and so on. Why it’s in Rome, Italy? Rome is the capital of Italy and the largest city in Italy. It's also home of the Vatican City State. Rome is a bustling metropolis that offers students an enormous wealth of history, culture and international influence at their fingertips. With its many neighborhoods and sprawling historical sites, Rome gives you the sense of being in a small town, despite the fact of being home to almost 3 million people. The exploration in Bioinformatics and other Biological zone in Italy are being advanced with most astounding development rate after some time. There are around 1250 organizations who focus on biological research and offer a lot of resources. Rome has the status of a comprehensive city. Rome positioned as the 14th-most-visited city in the world, third most visited in the European Union. By Italian Biotechnology Report glancing at the research sectors, 61 GPET (Genomics, Proteomics and Enabling Technologies), 43 green biotech, 34 white biotech and 50 multi core organizations are operating in Italy. 77% of the organizations are little and smaller scale undertakings, primarily situated in Science and Technology Parks. 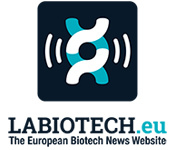 Complete revenues in the biotech field add up to 7 billion Euros (+4%). Interests in R&D add up to 1,8 billion Euros (+8%), equivalent to 25% of aggregate revenues. Rome has been one of the districts in Italy profoundly committed to bioinformatics and clinical research. In this manner, the Rome, the heart of bioinformatics has been decided for the conference. 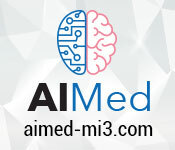 Individuals associated with Bioinformatics Research are Bioinformatics Organizations, Bioinformatics Research Centers, Bioinformatics Institutes, Bioinformatics Associations, Bioinformatics Companies, Bioinformatics Research Laboratories, Bioinformatics Research, Bioinformatics Societies and Services, Bioinformatics innovation Providers, Bioinformatics Databases and Software engineers, Biomedical and Biopharmaceutical Industries for Medicine Research. The Members who are connected with Bioinformatics research incorporates Societies, Universities, Associations, Institutes and other Research Organizations. Roughly, more than 2876 individuals are involved in Bioinformatics and related researchers in Rome. Roughly, more than 17775 individuals included in Bioinformatics and related researchers in Italy. Europe: Approximately, more than 56083 individuals are included in the field of Bioinformatics and related researches. USA: Approximately, more than 24285 individuals are included in Bioinformatics and related researches. Worldwide: Approximately, 1291100 individuals are included in Bioinformatics and related explores. A. By City - Some of the major companies in Rome. B. By Country – Some of the major companies in Italy. 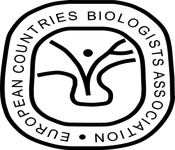 Sapienza University of Rome, University of Rome Tor Vergata, Roma Tre University, Marconi University, Università telematica internazionale UniNettuno, European University of Rome, American University of Rome. University of Bologna, University of Milan, Sapienza University of Rome, University of Pisa, University of Florence, University of Turin, University of Genoa. According to Bcc report, it is estimated that the global bioinformatics market was valued at nearly $2.8 billion in 2011, nearly $3.2 billion in 2012, and is forecast to grow to nearly $7.5 billion by 2016 after increasing at a compound annual growth rate (CAGR) of 18.7%. 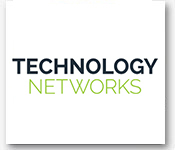 The Technavio's analysts forecast the global bioinformatics market to grow at a CAGR of 19.49% over the period 2014-2019. The bioinformatics market is expected to grow to $12.86 billion by 2020 with a CAGR of 21.2% during 2014-2020. The major factors driving the bioinformatics market has been found from the studies as the need for integrated data, rising demand for drug development and discovery. In the past, the R&D activity in the biotechnology and pharmaceutical industry had a restrictive budget. However, due to the advancement in the IT solutions, the cost involved in the R&D activity has become cost and time efficient. The Research has been made in some of the market reports and it is been studied that the bioinformatics report predicted to be $4.2 billion in 2014 and is poised to reach $13.3 billion by 2020 at a CAGR of 20.9% from 2015 to 2020. The global Bioinformatics market is driven by the increase in the number of diseases and the population suffering from these diseases. The value of the Bioinformatics market was $9.3 billion in 2012, and is expected to reach $21.63 billion by 2018, at a CAGR of 15.1%. The report analyses the market in terms of product type such as instrumentation technologies, reagents, and services. The market segments experienced a positive growth till 2012, owing to an increased awareness for sophisticated diagnostic techniques. The instrumentation technologies segment accounted for the largest share of 40% in the overall market, followed by the reagents market. The Bioinformatics services market is expected to grow at the fastest CAGR of 15.1%, during the forecast period. 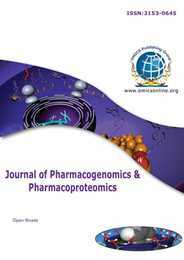 In North America, the funds for innovative proteomics technologies from various organizations, increasing agreements and collaboration among large companies, and the increasing R&D investments are the major driving factors for the Bioinformatics market. Europe accounts for the second-largest share in the global Bioinformatics market. The European governments are allocating thematic priorities to nurture the growth of the market. Numerous organizations are putting in efforts to promote the growth of the Bioinformatics market. Huge capital investments are required for Bioinformatics research. • AB SCIEX - Mass spectrometry and liquid chromatography, Pharmaceutical, drug discovery, proteomics, lipidomics and metabolomics, Food safety & environmental analysis.